Excellence in education through challenging and innovative degree and certificate programs that will push your academic, personal, and professional growth. Opportunities to learn from award-winning professors who are actively engaged in research and internationally known for their contributions to new knowledge in kinesiology, recreation and leisure. Rich, hands-on learning experiences throughout your degree program through labs, activity-based courses, community service learning, and a wide range of practicum opportunities. Opportunities to engage in undergraduate research and access to travel funds to attend a research conference and present your work. From cell to society, our programs enable you to study something you are passionate about. International experiences through an extensive array of study abroad and exchange programs, and opportunities to meet and learn alongside students from other countries. Opportunities to engage in inter-professional learning experiences with students from other health faculties. Outstanding state-of-the-art classroom, laboratory, and physical activity, recreation, and sport facilities. Over $200 million in facilities that span over 400,000 sq ft on the North and South campuses. Incredible student life experiences in a close-knit, interactive faculty celebrating over 50 years of excellence. The University of Alberta is a top 5 university in Canada and a top 100 university in the world. We are a small faculty in a big university. Our students have the advantage of all of the inter-collegial and interdisciplinary opportunities that a top 100-ranked, world class university has to offer, alongside the benefits of a close-knit faculty and student community. Our athletic programs and coaches are among the best in Canada, and our faculty are recognized worldwide for their research and passion for teaching. 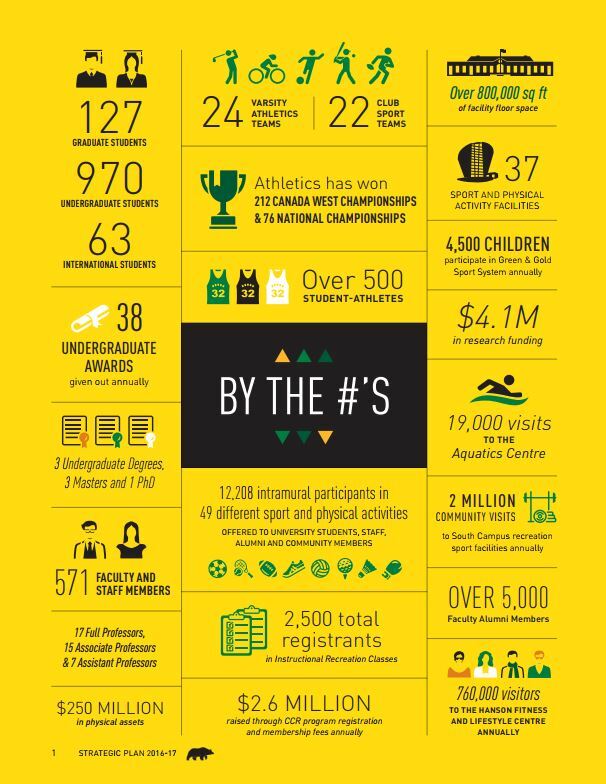 Our sports and recreation facilities are truly outstanding. With over $100 million invested in the last five years, you will be learning with state-of-the art amenities and resources. The Faculty's physical foot print spans over 400,000 sq ft across two campus, in 37 different facilities equating to over $250 million infrastructure.